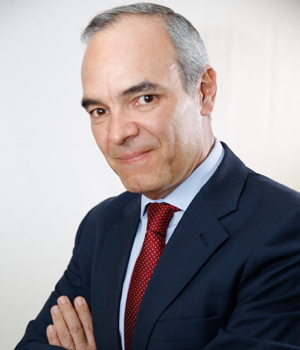 Currently Chief Information Officer at IE University & IE Business School, Carlos Garriga is Electrical Engineer by the Pontifical University of Comillas (ICAI) and BSc Physics by UNED. He has extensive international experience in managing Technology and Information Systems in a range of different industries such as Higher Education (IE), Real Estate & Financial Services (Sareb), Wholesale Distribution (ADVEO), Telecom (ONO) and Aerospace (European Space Agency, Sener Ingeniería y Sistemas). Fulbright scholar, Carlos holds a Master of Engineering degree in Engineering Management by Cornell University and an Executive MBA degree by IE Business School.